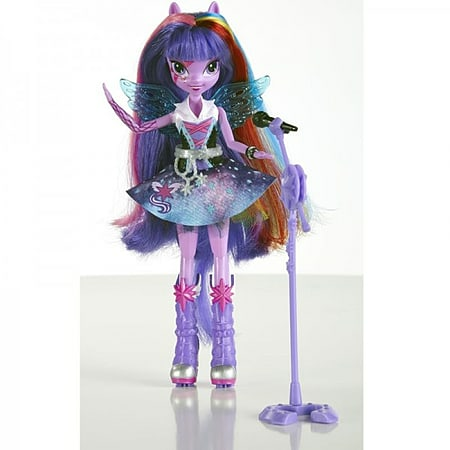 Your Twilight Sparkle doll is the perfect lead singer for all your Equestria Girls adventures! Her rainbow-fied hair and wild outfit with wings give her the perfect look for her next gig. She comes with her very own microphone stand so she can belt out her favorite tunes for you. She's going to sing her heart out in true Twilight Sparkle fashion. Age 5+ Years.